In February 2013, the Town of Brookhaven Town Board unanimously passed a resolution in support of joining the AARP Network of Age-Friendly Communities. As a member of the AARP Network of Age-Friendly Communities, Brookhaven’s leaders committed to a continual cycle of improvement in the eight domains the World Health Organization has identified as influencing the health and quality of life of older adults. The largest of the 10 townships that make up Suffolk County, New York, Brookhaven includes eight villages or three-dozen hamlets, many of which are self-governing. 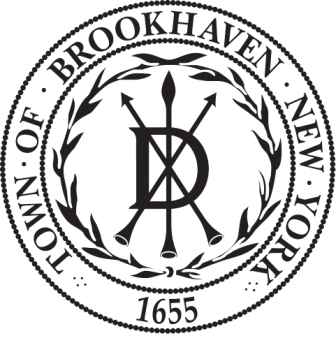 More than 30 percent of Brookhaven’s residents are 50 or older. While the town has not yet appointed an Age-Friendly steering committee, several of the town’s departments have been engaged in promoting age-friendly services and benefits within the eight domains. Brookhaven has approved zoning changes to promote the construction of housing that is affordable and accessible and located in areas near community features that will benefit people of all ages but especially older adults. Brookhaven’s residential repair program provides people 60-plus with free household maintenance assistance for minor home repairs and improvements ranging from unclogging sinks to installing grab bars and stair railings. Brookhaven is trying to improve its walkability and bike-friendliness, implementing regulations established by the town’s Complete Streets legislation, enacted in 2010. Brookhaven residents age 60 and older can join one the township’s many senior citizen clubs, which meet locally and host social activities, including luncheons, trips and special events. Town government departments involved in age-friendly initiatives include Housing and Human Services (which houses the Senior Services Division), Parks and Recreation, and Public Information. Other key external partners include the Senior Citizen’s Advisory Committee, SCORE, the Arts and Humanities Council and the Brookhaven Business Advisory Council.